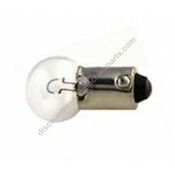 Welcome to our sewing machine light bulbs and light sockets page. 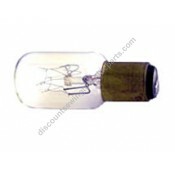 Here you will find a large selection of sewing machine light bulbs and sockets. Click on any part to get more information including a complete listing of compatible sewing machines and alternate part numbers for a specific light bulb or socket. When replacing a bulb always remember to remove power to your sewing machine first. 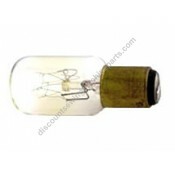 When the old bulb has been in the machine for many years it can become somewhat frozen in place, and the aging bulb can become brittle where the glass is fused to the base. In those cases, take it slow and use only as much force as necessary to remove the bulb. 6 volt, 4 watt. 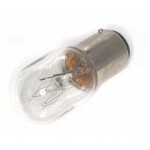 Order two or more bulbs and we will send you a tube FREE which will make it easier ..
110v 15watt. 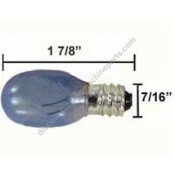 Blue bulb 7/16 screw-in (643/7SCW). 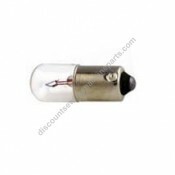 Bulb is blue in color giving off real sunlight effe..
Takes bulb #643 sold seperately.Fits the following Brother sewing machine models VX1125, VX1140, X..
120Volt 15Watt. 2 1/2" in length. 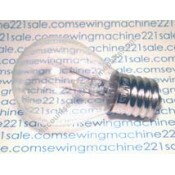 To remove bulb press down with a small screw driver to make t..
120 volts, 15 watt, the bulb you receive will be frosted.Alternate Part Numbers00236365000, 00316870..
Alternate Part Numbers), 11362, 283318, 387269PD, 388379, ML350812Fits the following Pfaff sewing ma..
12 Volt, 5 Watt Alternate Part Numbers 000026002, 0075355000, 4117810-03, 4131818-01, 479001-10,..
12 Volt, 5/6 Watt. 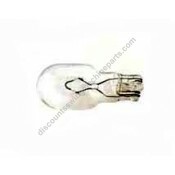 Please note: This bulb has been redesigned with a smaller glass globe for less h..
12 Volt, 10 WattFits the following Singer sewing machine models 2010, 2001.. Fits many Brother machines, White, Singer and others requiring 7/16" screw-in type bulb. To help id..
120 volts, 15 Watt, 5/8" screw-in, most common of rotary type. 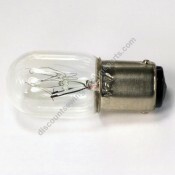 To help identify the correct bulb re..
Bayonet type (push-turn), 120 volt, 15 watt. Smaller glass for easy replacement. 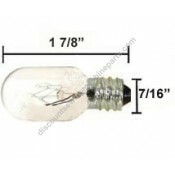 Most common for Sin..
120 volts, 15 watt, 5/8" large screw-in, large round glass. This bulb is no longer available. 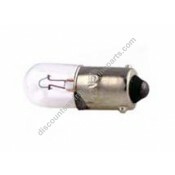 Plea..
12 Volt 5 WattAlternate Part Numbers000026002, 0075355000, 14v 3w, 396001-36, 411 78 10-03, 4117810-..
Light bulb extractor for medium and large bulbs. 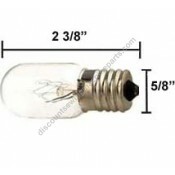 Each end is of a different size (5/8" or 3/4") fit..
12 volt, 5 watt small glass. 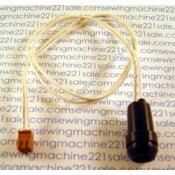 Push-turn to remove and replaceFits the following Pfaff sewing machine..
Light bulb extractor for small bulbs. This extractor is 2" long for reaching into small/tight areas..
8 Volt, 2.4 Watt/3AK (Stanley). Brother light unit/switch X50227001/X50809001 is obsolete.Alternate..
9 Volt, 3 WattsAlternate Part Numbers31082-T, X50228051Fits the following Babylock sewing machine mo..
Light socket with switch.Fits the following Singer sewing machine models 401, 403, 404, 500, 503..
Singer light socket ONLY without bulb #386958Fits the following Singer sewing machine models XL1000 ..
Light socket with lead wire and switch. Fits most Japanese machines. Use Light Bulb #643 sold separ.. Fits the following Singer sewing machine models2000..